2. Live for yourself and you will live in vain,Live for others,and you will live again. 3. I don't know how to live good.I only know how to suffer. 4. Judge not,before you judge yourself.Judge not,if you're not ready for judgment. 5. Beginning are usually scary and endings are usually sad but it's everything in between that makes it all worth living. 6.Before you point your fingers,make sure your hands are clean. 7. The winds that sometimes take something we love,are the same that bring us something we learn to love. 8. Love the life you live.Live the life you love. 9. Some people feel the rain.Others just get wet. 10. You say you love rain,but you use an umbrella to walk under it.You say you love sun,but you seek shelter when it is shining.You say you love wind,but when it comes you close your windows. So that's why i'm scared when you say you love me. 11. Don't worry about a thing,every little thing is gonna be alright. 12. If you can love the wrong person that much,imagine how much can you love the right one. 13. I didn't change,I just found myself. 14. You just can't live in that negative way,make way for the positive day. 15. 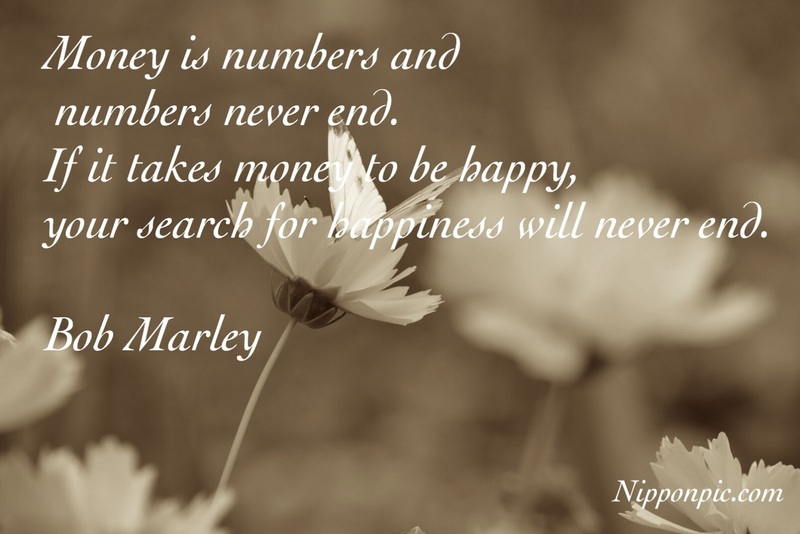 Money is numbers and numbers never end.If it takes money to be happy,your search for happiness will never end. 16. Don't trust people whose feelings change with time.Trust people whose feelings remain the same,even when the time changes. 17. Open your eyes,look within.Are you satisfied with the life you're living? 18. Just because you are happy it does not mean that the day is perfect but that you have looked beyond its imperfection. 19. Truth is everybody is going to hurt you,you just gotta find the ones worth suffering for. 20. If she's amazing,she won't be easy.If she easy,she won't be amazing.If she's worth it,you wont give up.If you give up,You're not worthy.